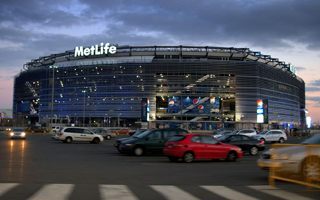 The ceremonial groundbreaking took place in April 2003, when design work by Eisenman Architects and HOK Sport (later Populous) was already carried out. 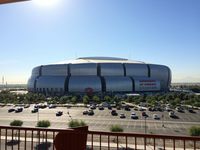 The list of engaged offices goes on, though, with other renowned architects and engineers taking part, to name just Buro Happold, ones behind the retractable roof, first ever built on an incline. 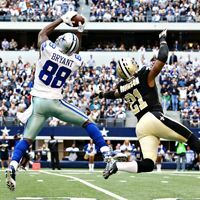 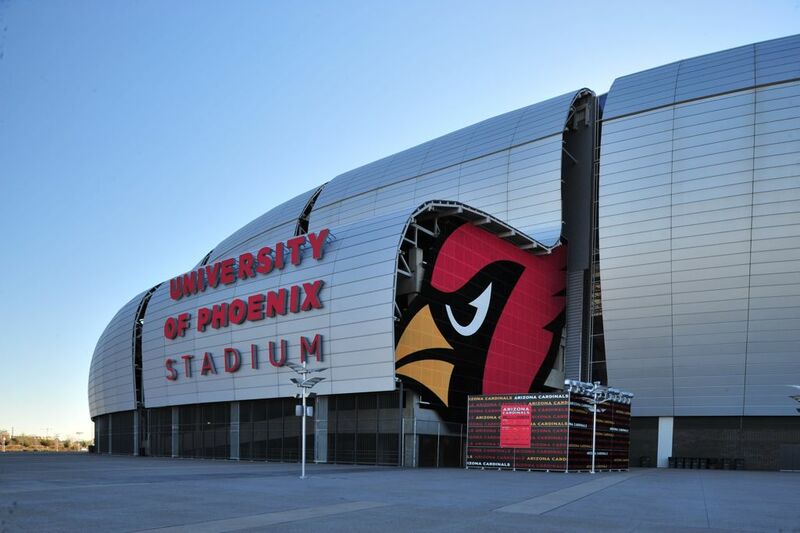 Construction lasted 3 years and consumed almost $455 million (of which the stadium itself had cost $395m, surrounding infrastructure $42m and land purchase another $18m). 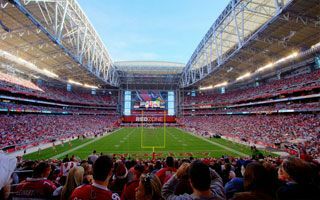 The budget was covered by three entities: Arizona Sports and Tourism Authority ($302 million), Arizona Cardinals ($143m) and Glendale municipality ($9.5m). 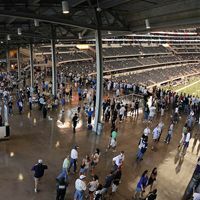 Regular capacity stands at 63,400 people, but large events may see an increase up to 72,200 with temporary seating and 78,600 with standing room. 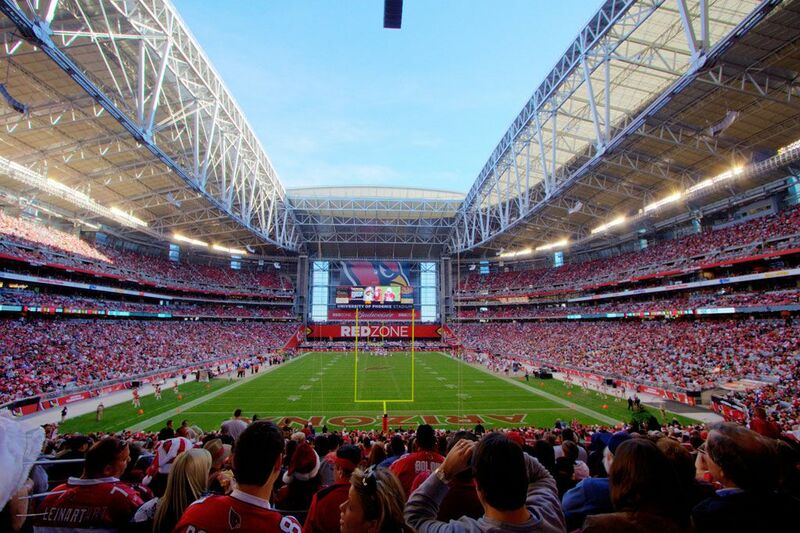 The stadium is the only one in USA and one of very few worldwide to have both a retractable roof and sliding pitch, allowing it to combine numerous functions and host a wide variety of events. 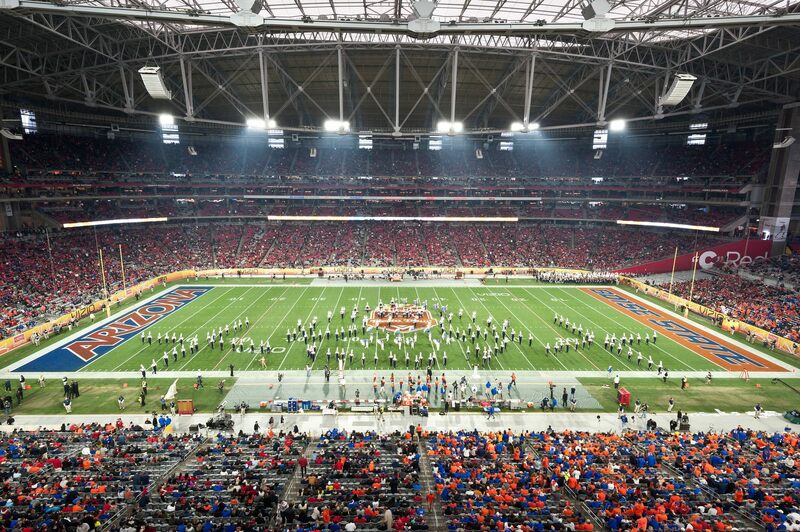 The first six months saw over 90 of them take place, including American football, association football, concerts and various exhibition events. 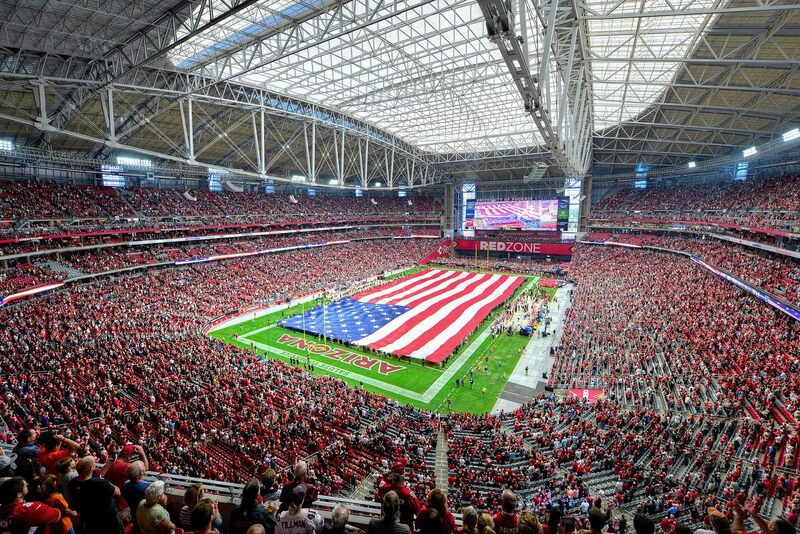 With week-to-week use provided by NFL side Cardinals the stadium was also host to US national team in football (soccer), the 2008 Super Bowl, annual Fiesta Bowl and numerous entertainment shows, like wrestling or monster trucks. 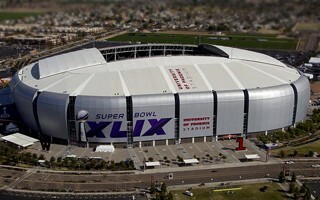 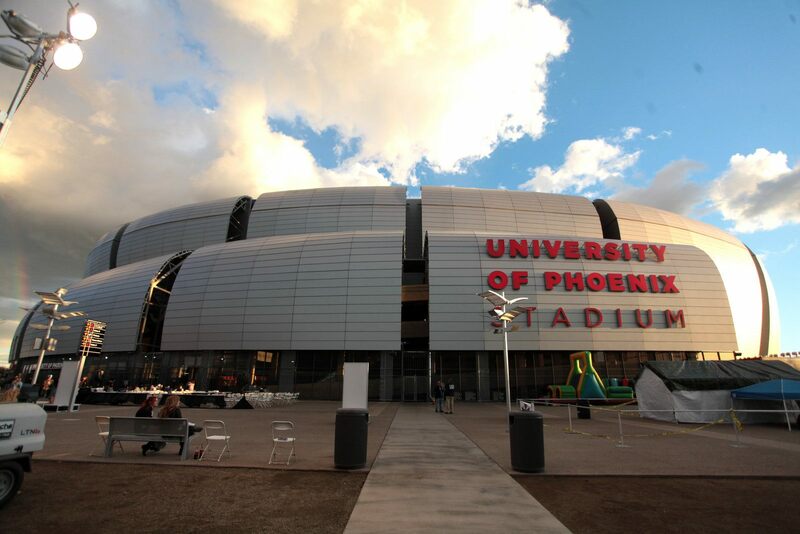 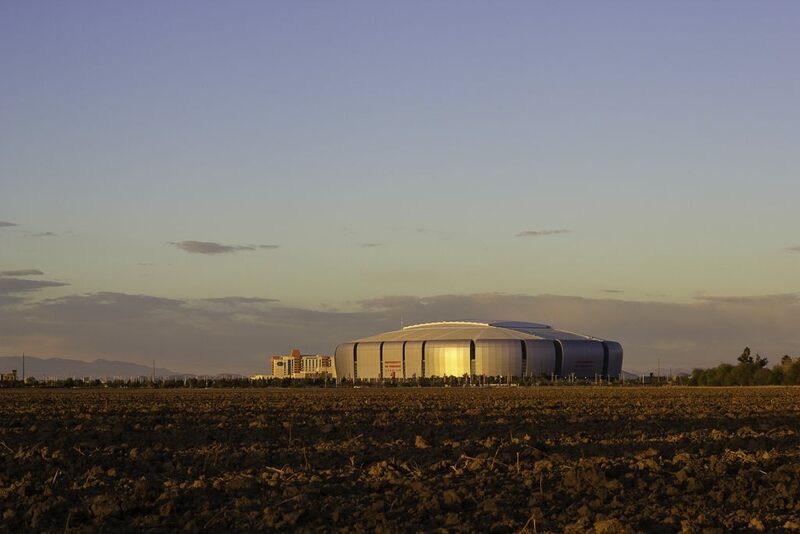 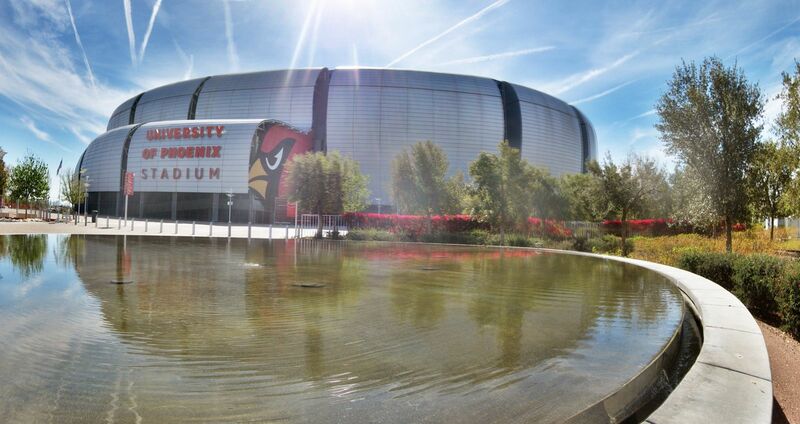 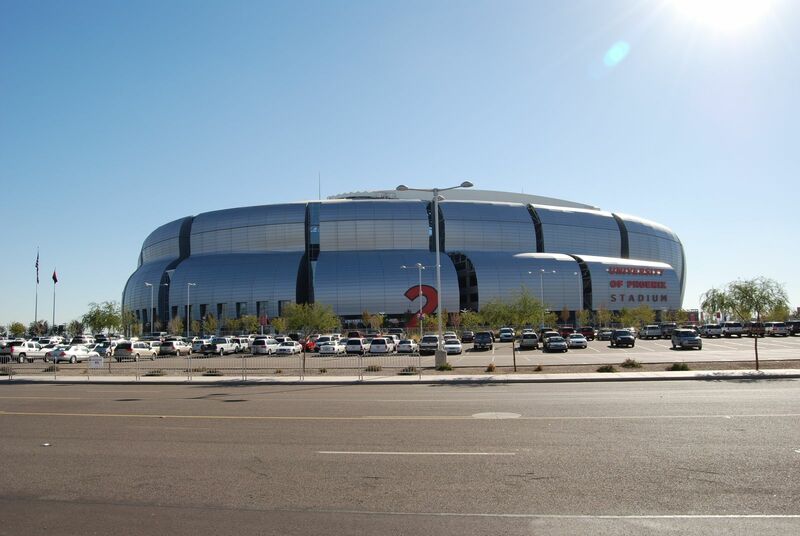 After the opening in 2006 the University of Phoenix signed a 20-year long naming rights deal, making the ‘Cardinals Stadium’ officially University of Phoenix Stadium. 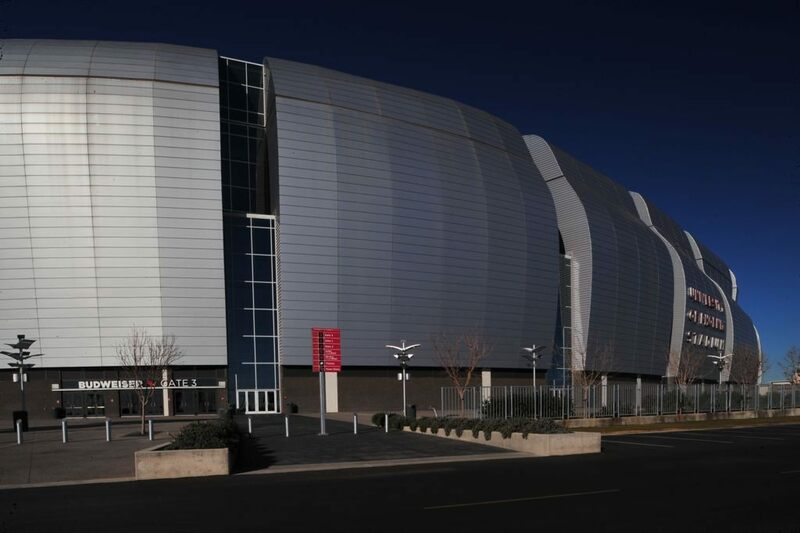 The deal is worth almost $155 million. 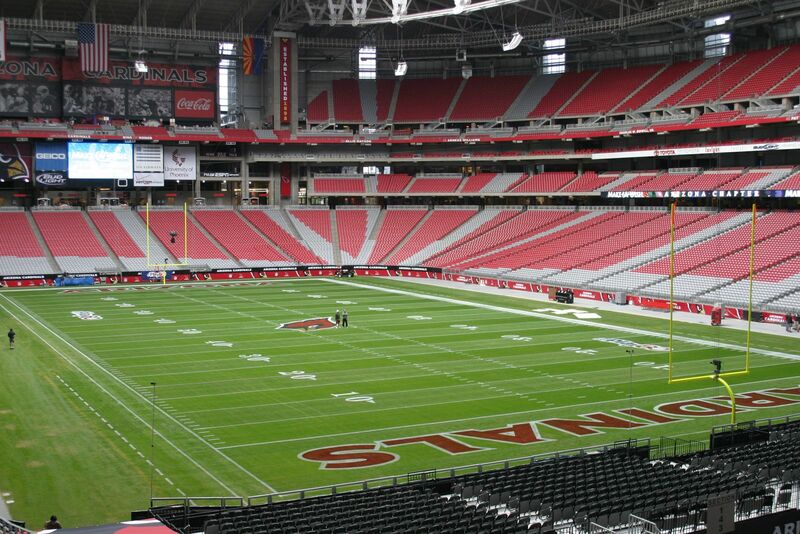 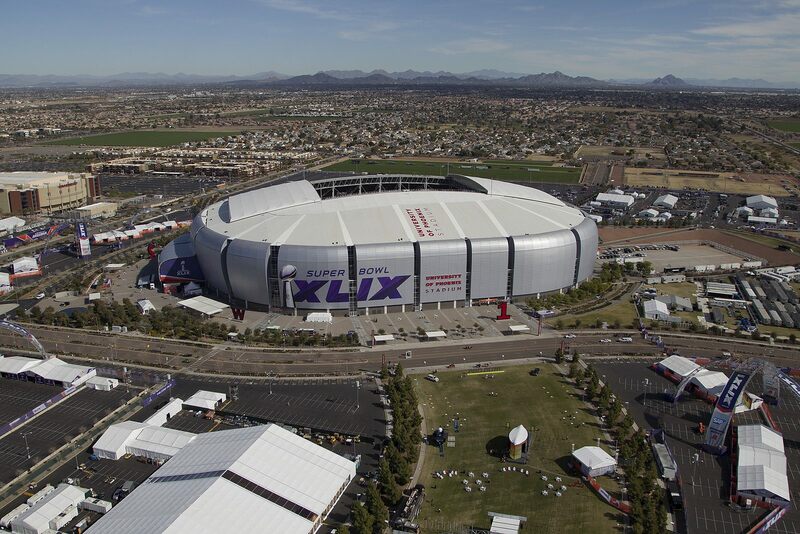 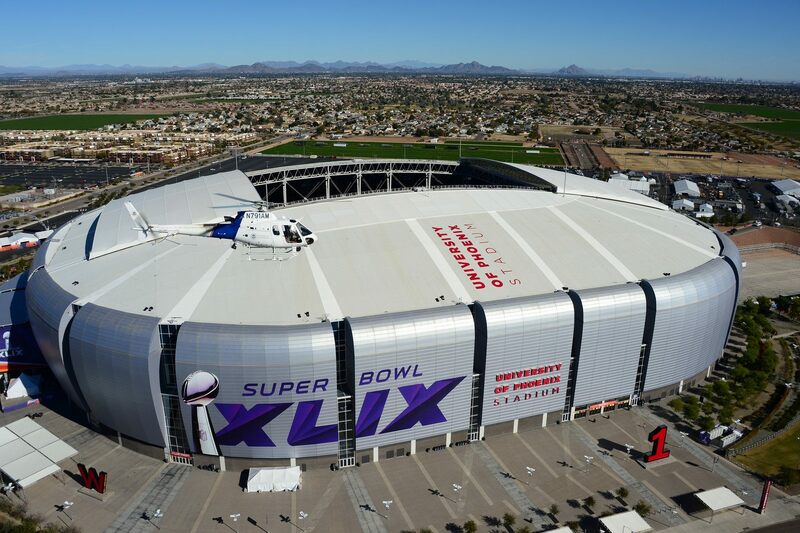 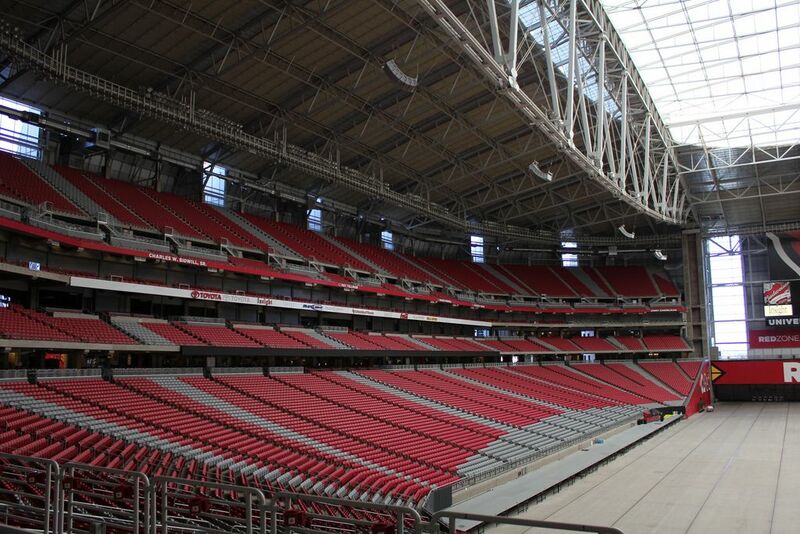 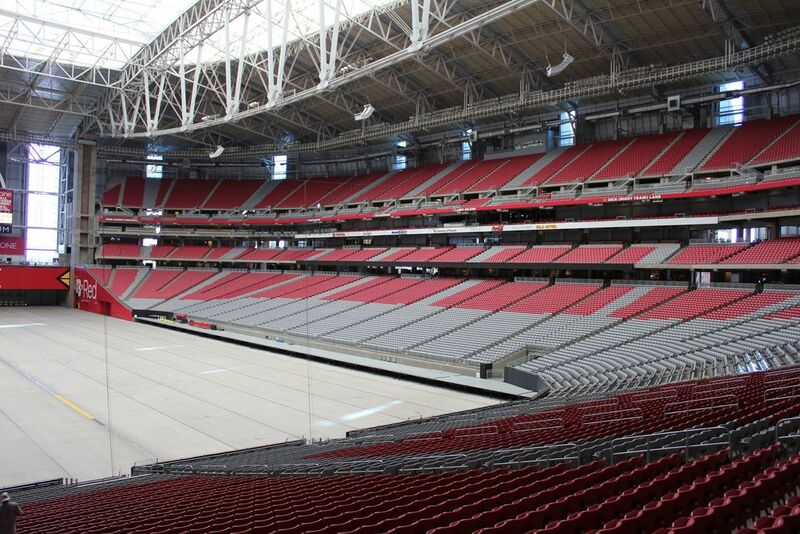 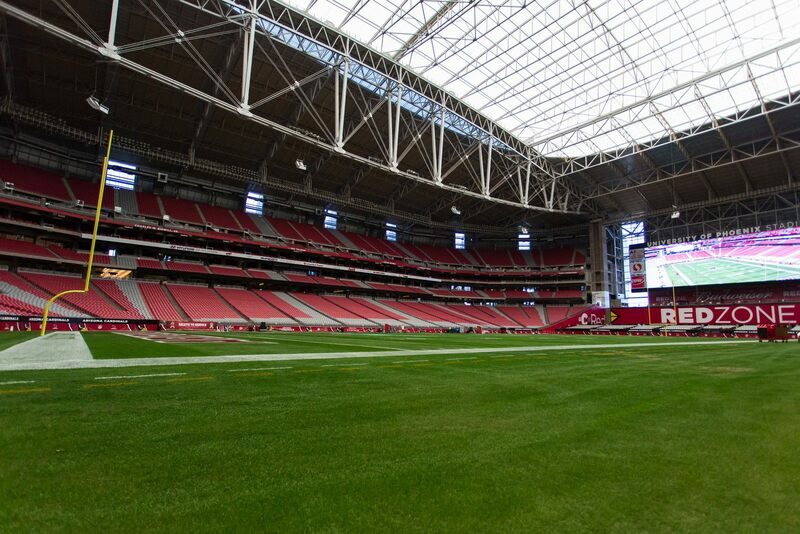 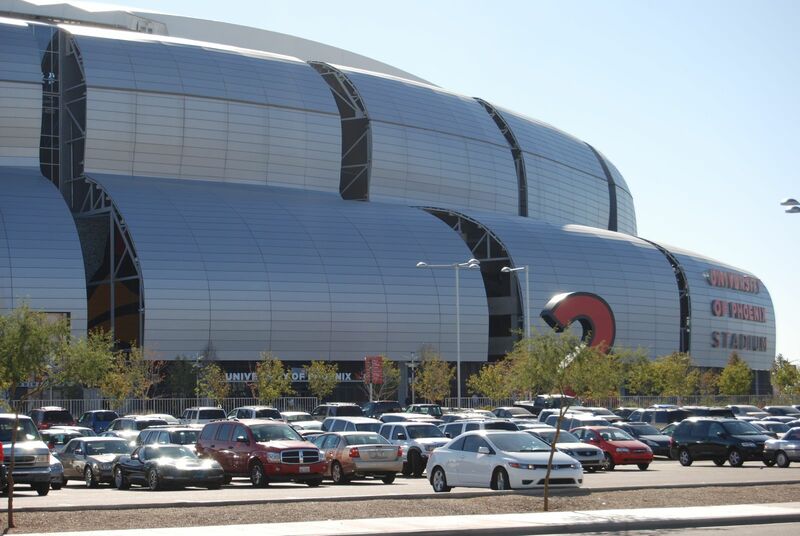 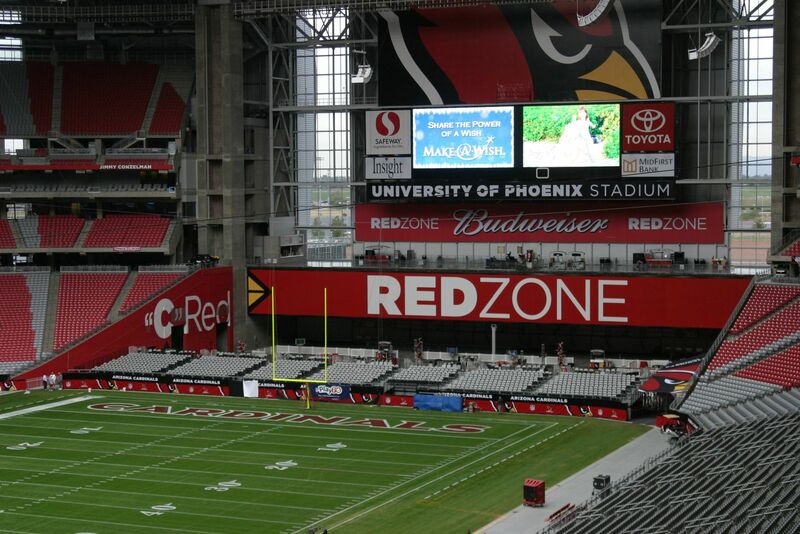 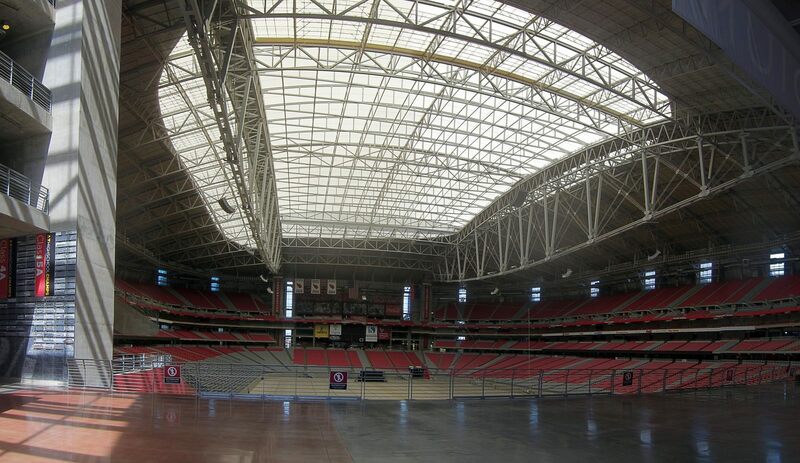 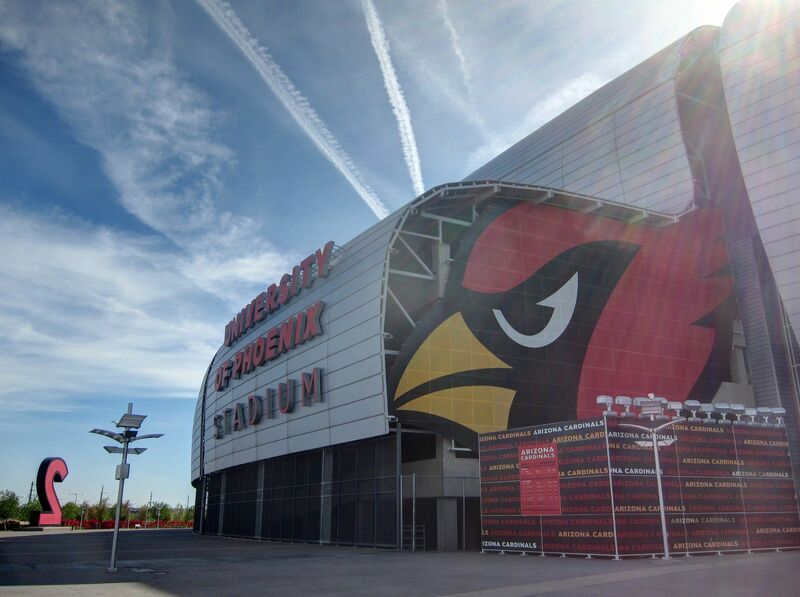 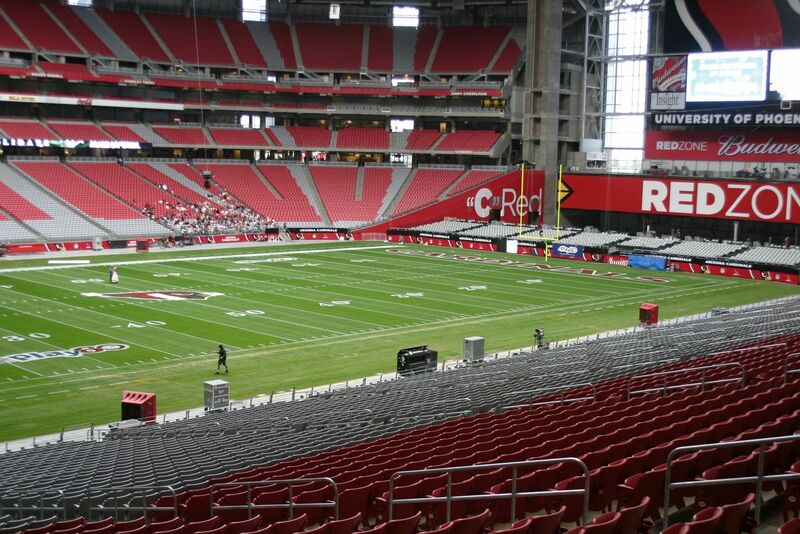 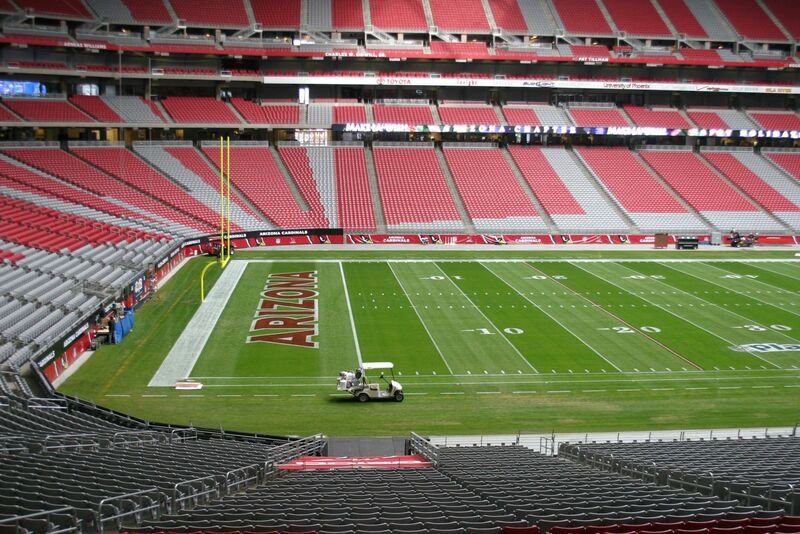 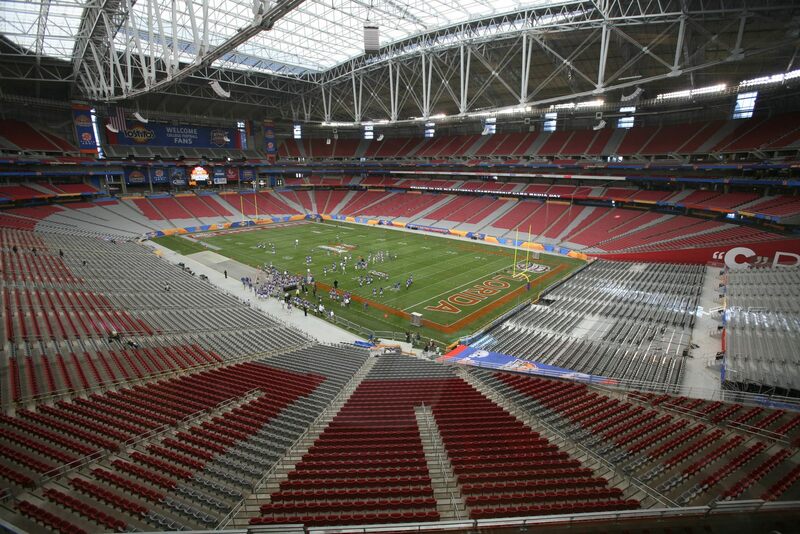 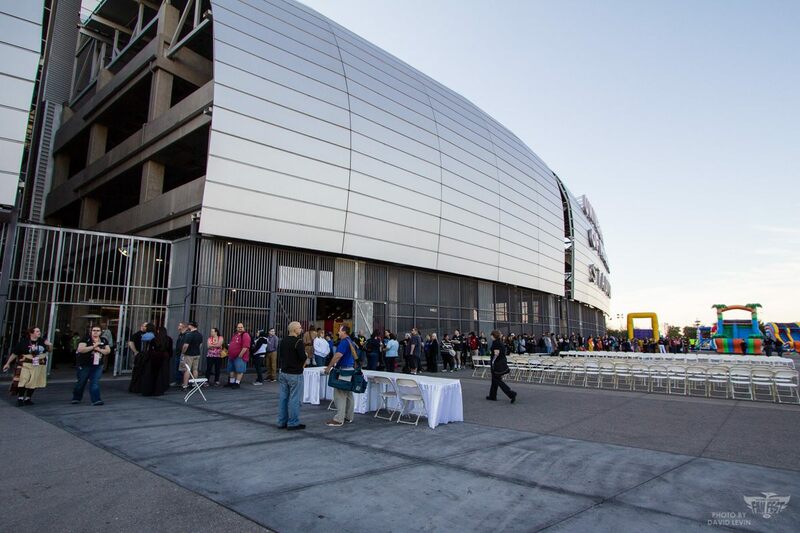 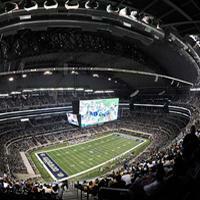 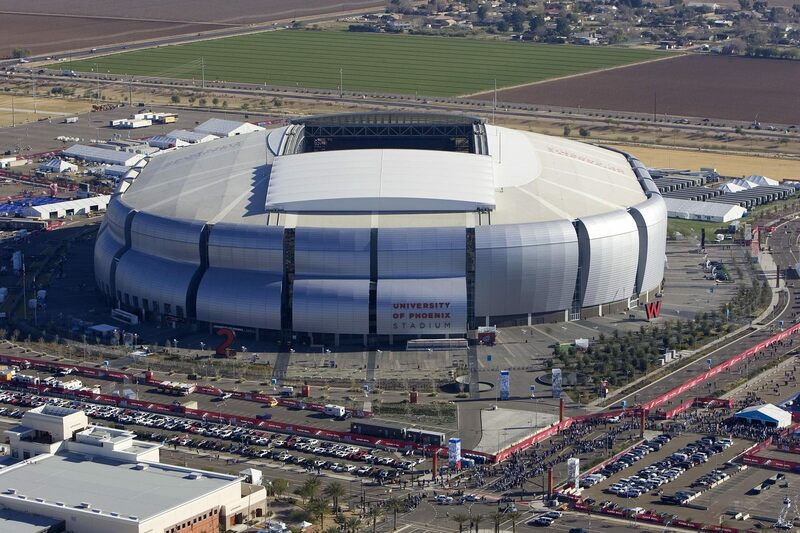 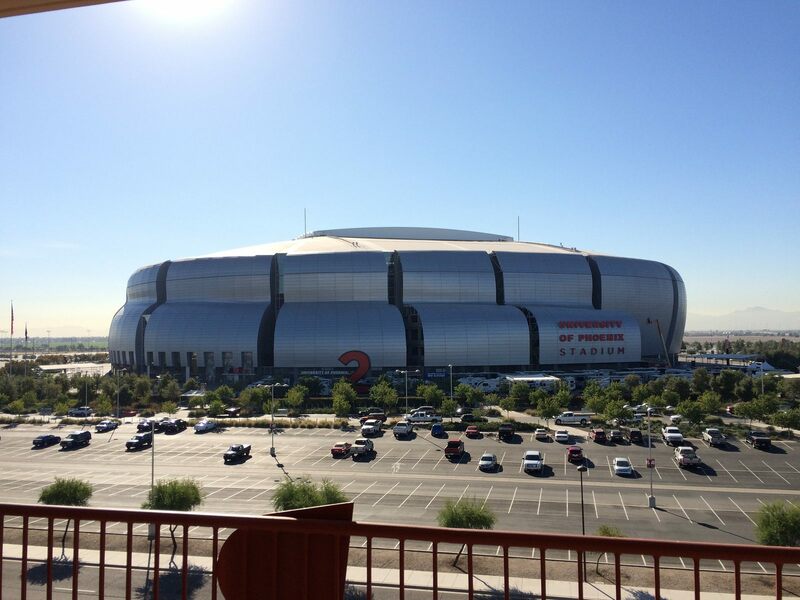 University of Phoenix Stadium will be getting new giant screens and WiFi system ahead of the 2014 NFL season. 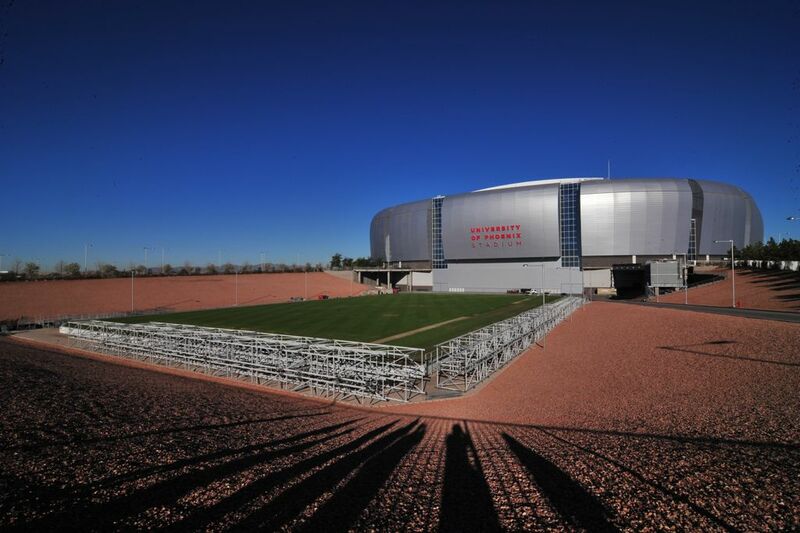 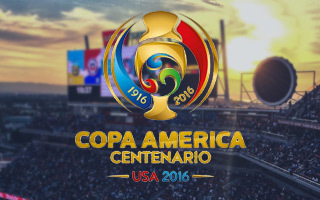 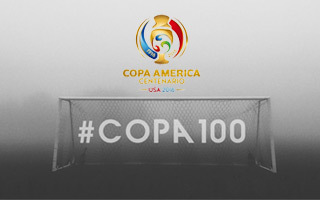 Though one of the most modern stadiums in the US, it needs the improvement to keep up.